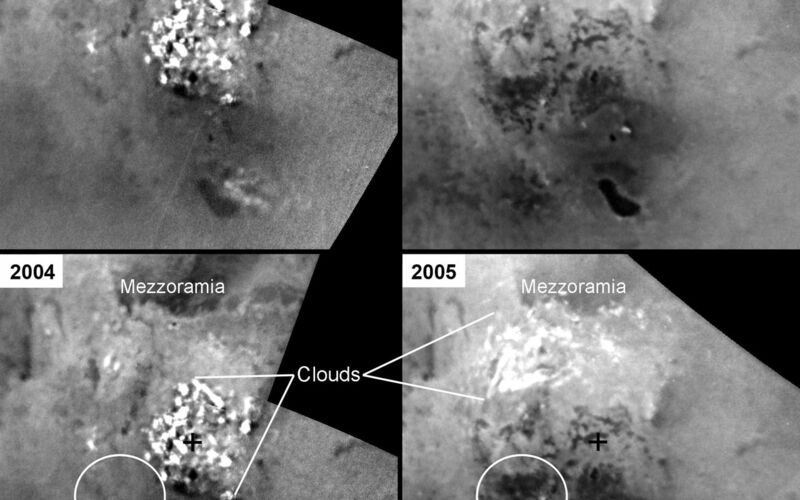 Active Cryovolcanic Features on Titan? 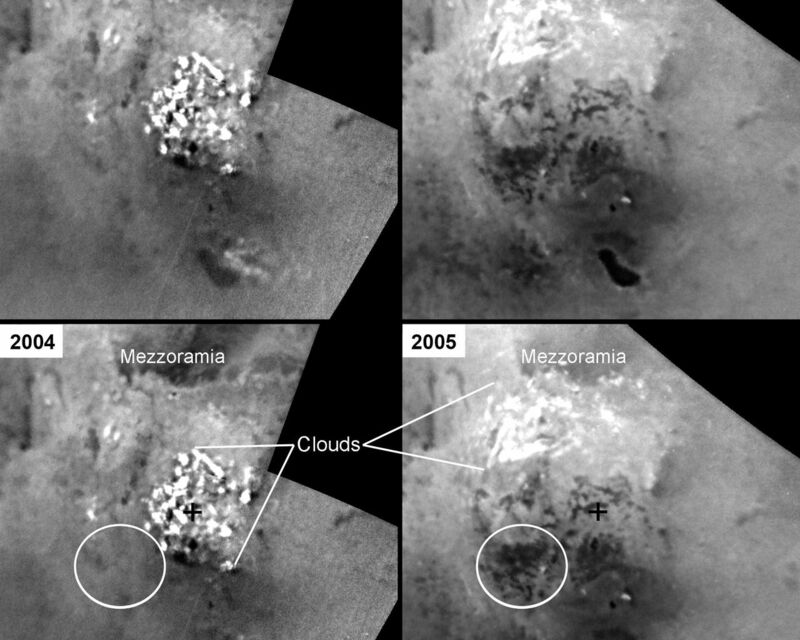 It is likely that rain from a large storm created the new dark areas that were observed in June 2005. 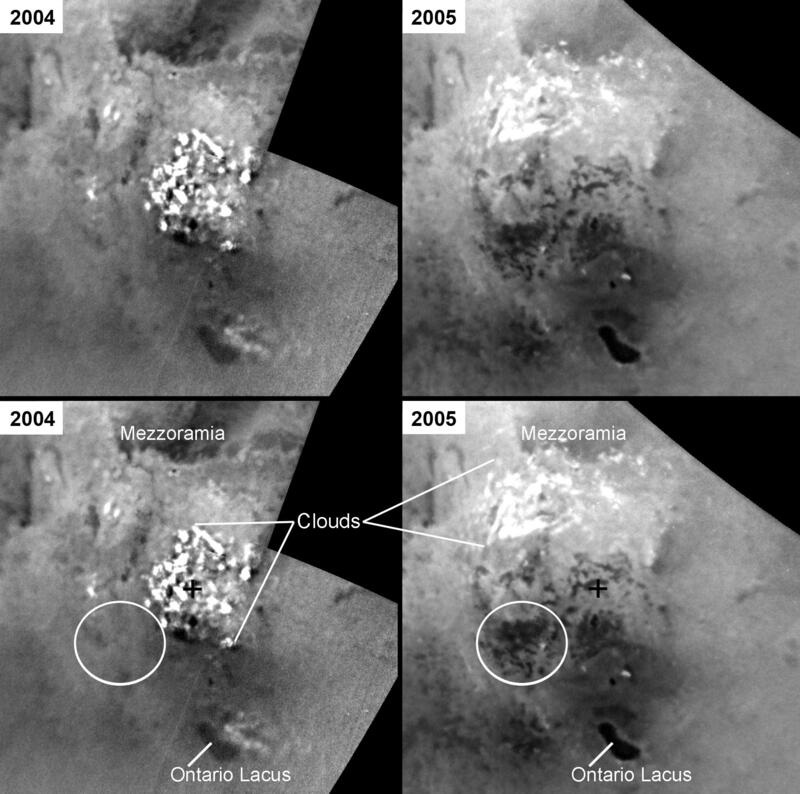 Some features, such as Ontario Lacus, show differences in brightness between the two observations that are the result of differences in illumination between the two observations. These mosaics use images taken in infrared light at a wavelength of 938 nanometers. 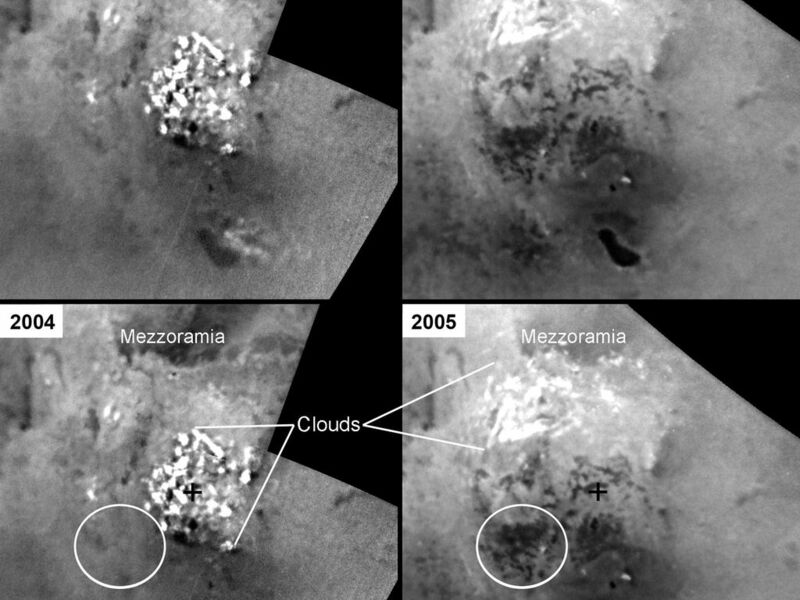 The images have been oriented with the south pole in the center (black cross) and the 0 degree meridian toward the top. Image resolutions are several kilometers (several miles) per pixel.